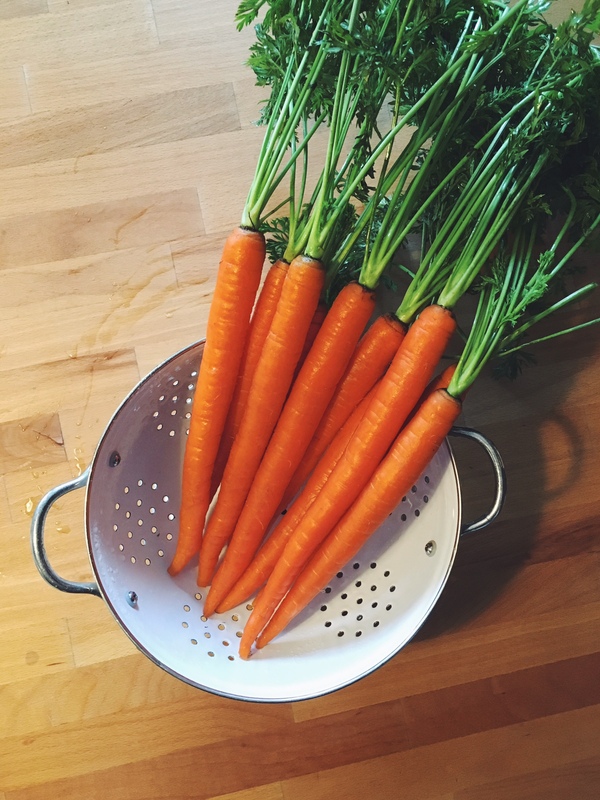 I am proud to say that in my college years, I had a carrot addiction. I ate them every day. Sounds like a good habit, you say? Think again. The palms of my hands and the soles of my feet were ORANGE. Like ugly orange. So don’t do that. Cause it takes a long time to go away. 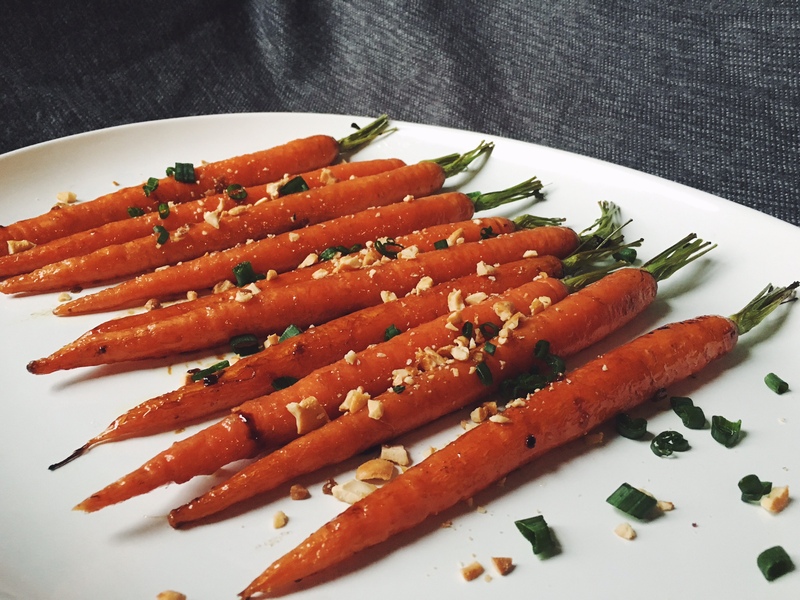 I still enjoy them from time to time, and decided to work on a delicious way to prepare carrots as a spectacular dinner side dish, or even as a vegetarian meal. 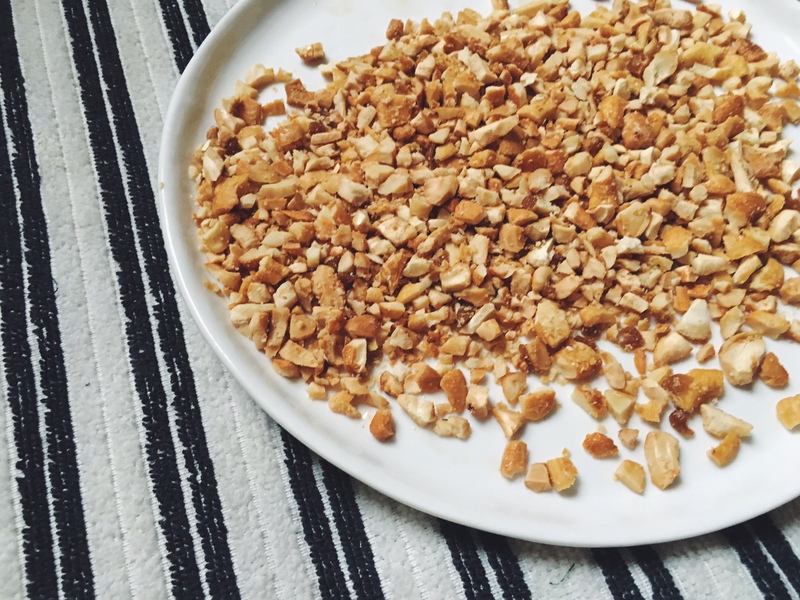 You’ll need these 10 ingredients, but first preheat your oven to 375. Meanwhile, melt the coconut oil and maple syrup together in the microwave, it just takes a few seconds. Add an itty bitty teeny sprinkle of salt. 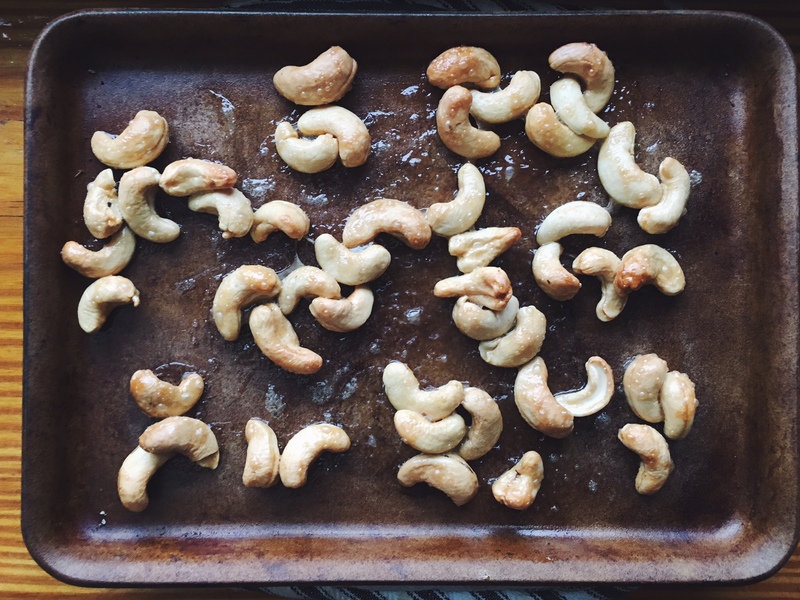 Toss this mixture with the cashews so they are entirely covered. Place in a separate baking dish and roast at the same oven temp, 375, for 20 minutes or until lightly browned. 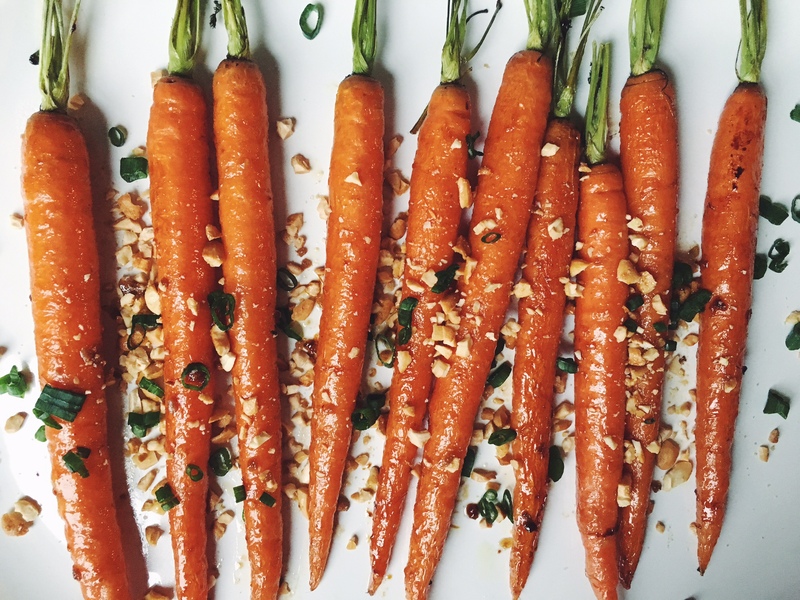 You can do this while the carrots are roasting. 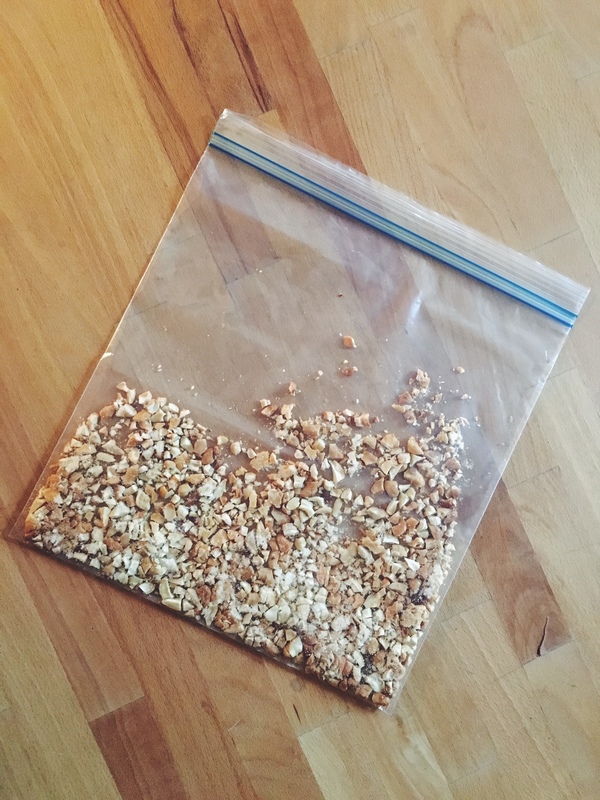 After the nuts cool, place them in a large ziplock to crush them with either a hammer or rolling pin. 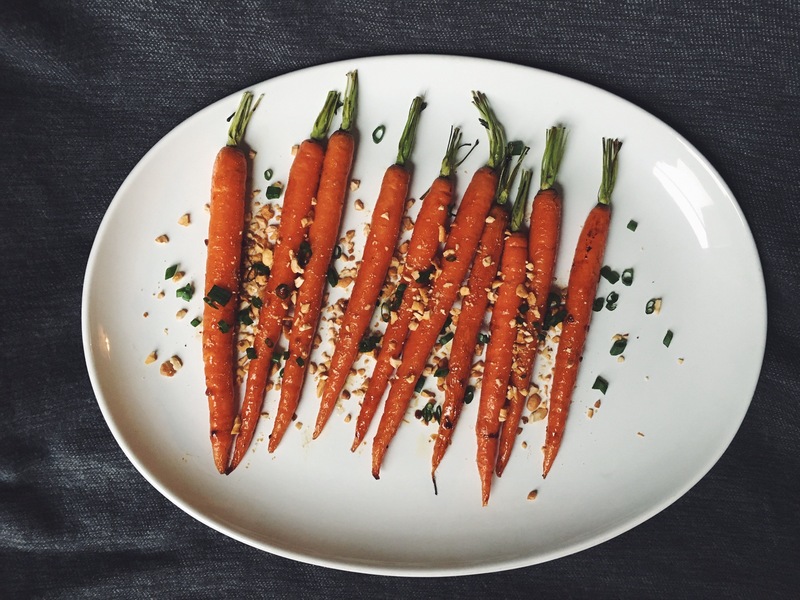 Once the carrots are pulled out of the oven, lay them on a serving dish, drizzled with whatever juices remain in the pan. 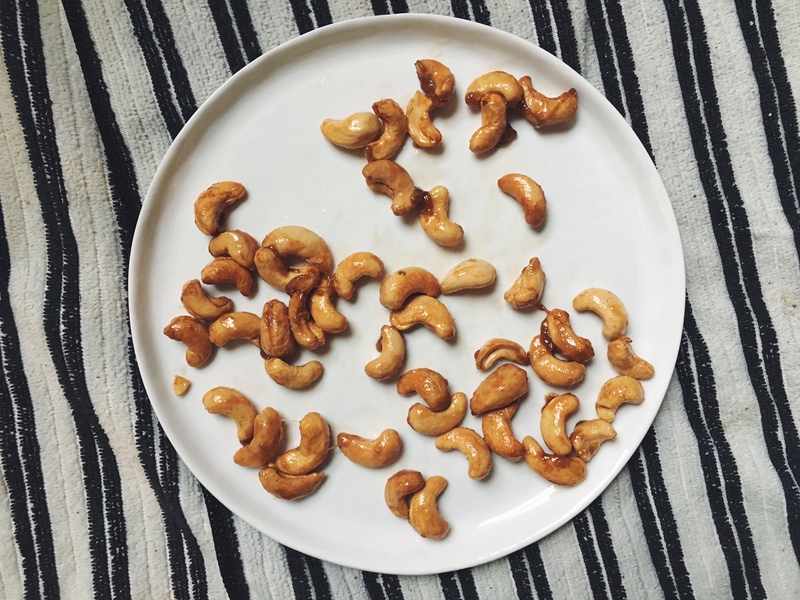 Sprinkle roasted cashews and garnish with flavorful chives. This dish is MMMM. Bear with me as I make changes and updates to my site in the coming days!